This page written circa 4 Feb, 2010. I read articles in the recent press on the reaction of voters to President Obama's proposed healthcare reforms: In Texas people scream in outrage although they would themselves benefit from the measure. What makes people vote against their own, and the majority's, best interests? Is it because "the voter wishes to believe that they will someday attain the economic status of those they vote with"? No. Is it because of long-held and misguided religious beliefs? Not often. Is it because they are stupid? Well, not quite. Dr David Runciman denies that you can "to put the whole thing down to what the historian Richard Hofstadter back in the 1960s called "the paranoid style" of American politics, in which God, guns and race get mixed into a toxic stew of resentment at anything coming out of Washington". The said David Runciman claims that "they do it because they resent having their interests decided for them by politicians who think they know best". That idea makes sense. What is worse is that the resentment makes sense too. Politicians make bad decisions. The "toxic stew of god, guns, and race" got the US into Iraq. In Australia and Britain the governments want to censor the internet. In New Zealand the prime minister decided he knew better that the 85% of the population who felt that parents smacking their own children should not be a criminal offence. The subjects put the coutries into perspective, but the central message is the same: Politicians think they know better, yet conspicuously do not. Giving them any power whatsoever sets a precedent that will be abused eventually. 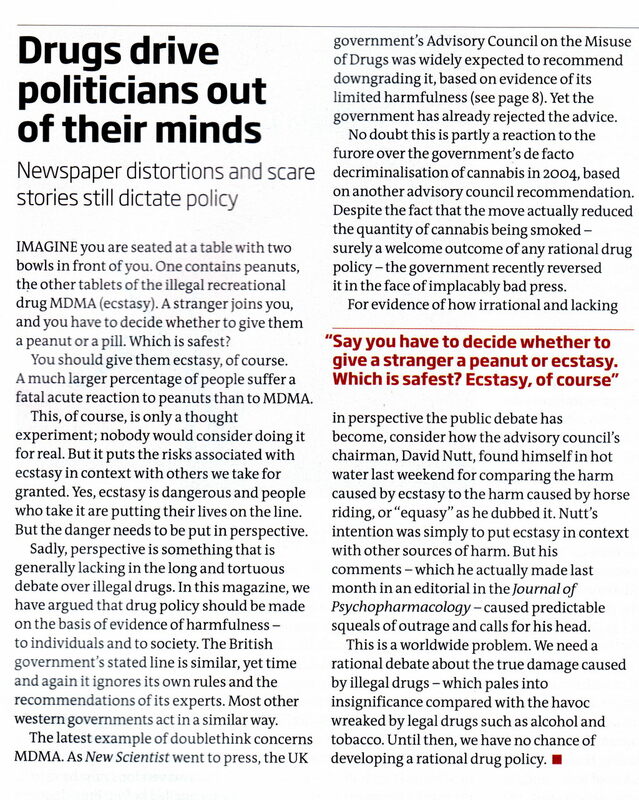 The story below from a February 2009 New Scientist demonstrates the situation starkly. I reflected previously that the Antipodes' British-style laws made it easier for politicians to screw the populace. The American consitution gives a better basis for keeping the government at bay, at least on home soil. Obama's health plans will set a precedent of putting control in hands that can never be trusted completely. The mad Texans have a point. Gore: "Under the governor's plan, if you kept the same fee for service that you have now under Medicare, your premiums would go up by between 18% and 47%, and that is the study of the Congressional plan that he's modelled his proposal on by the Medicare actuaries." Bush: "Look, this is a man who has great numbers. He talks about numbers. I'm beginning to think not only did he invent the internet, but he invented the calculator. It's fuzzy math. It's trying to scare people in the voting booth." Neither the people nor their leaders act rationally, and as Oliver Sacks would tell you, nothing you can say to them will fix that. The less centralisation of power and decision-making the better.